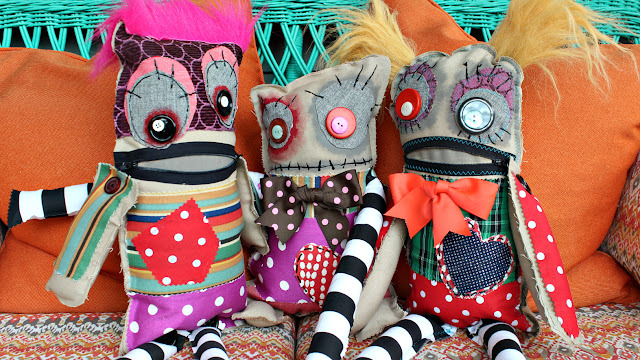 When I owned a boutique in the East Village of NYC we would take the scraps from the dresses and make matching accessories and quite often these crazy monster dolls. 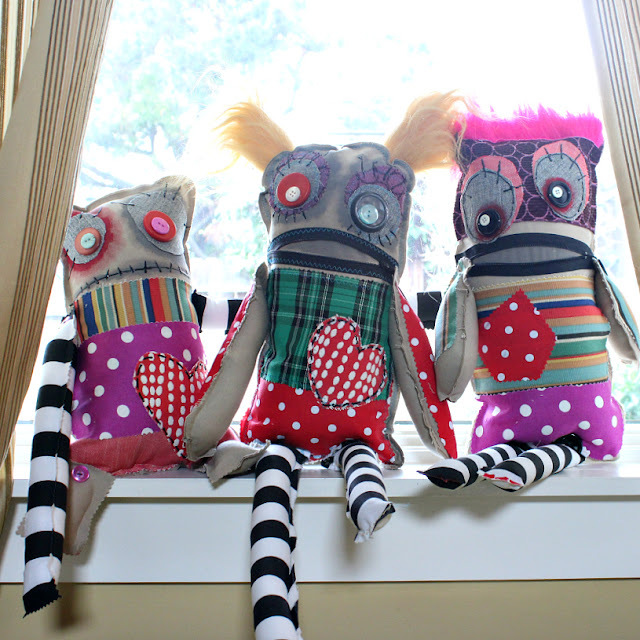 Our customers liked having a kooky stuffed creature made with fabric that cost $400 a yard and was dressed like they were. My dresses were on the expensive side which is why we kept the scraps. The best part about making these little monsters is that there are no rules. 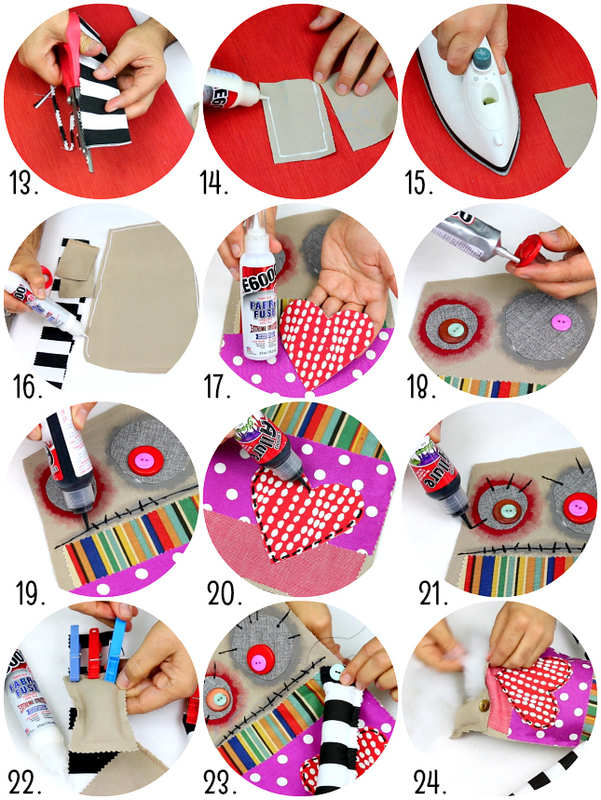 Go crazy with pattern, colors, buttons and ribbon. 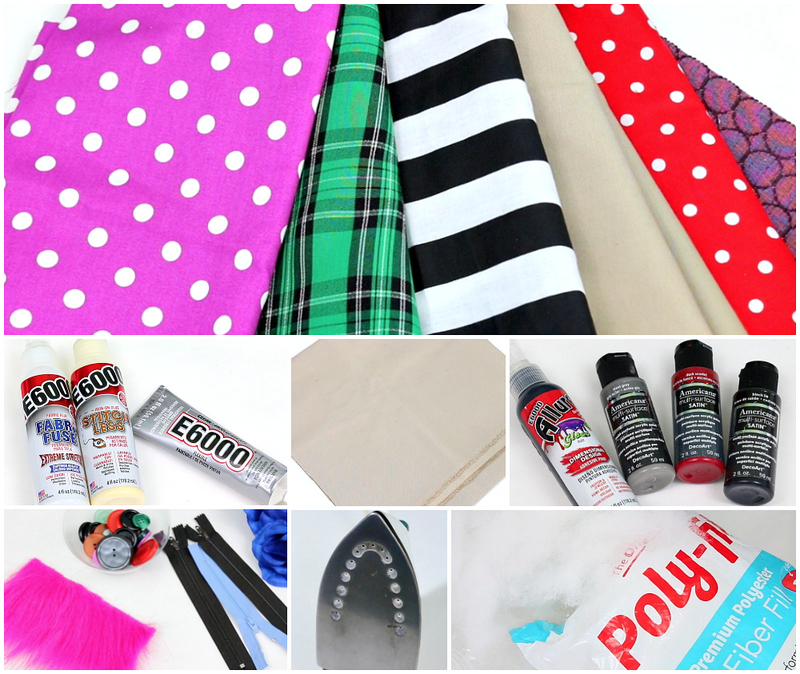 You can either use a simple zigzag stitch OR make them no-sew like I did with the E-6000 sewing glues. 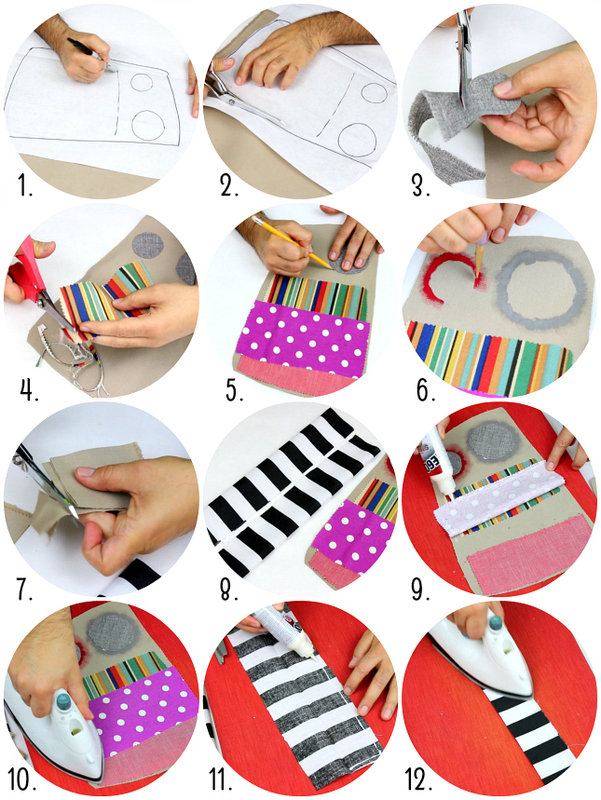 Remember to use up the scraps, go crazy with color and always Make Your Mark! Maybe you can help me name them? I really want my chair back! Watch how they came to life here! 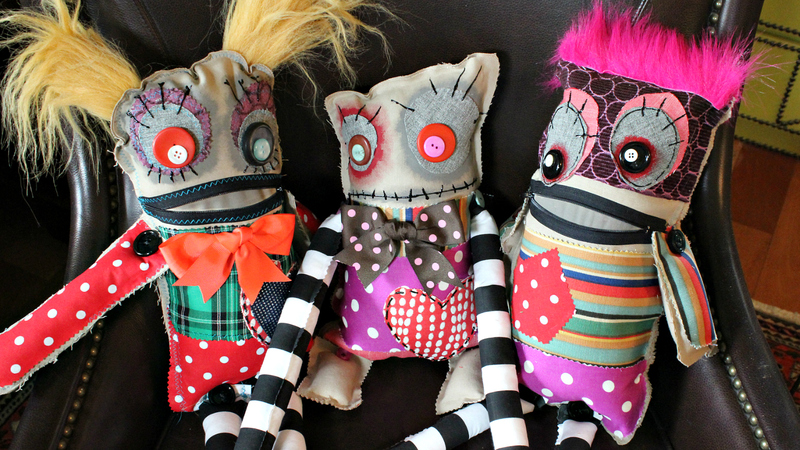 Those are so stinkin' cute! 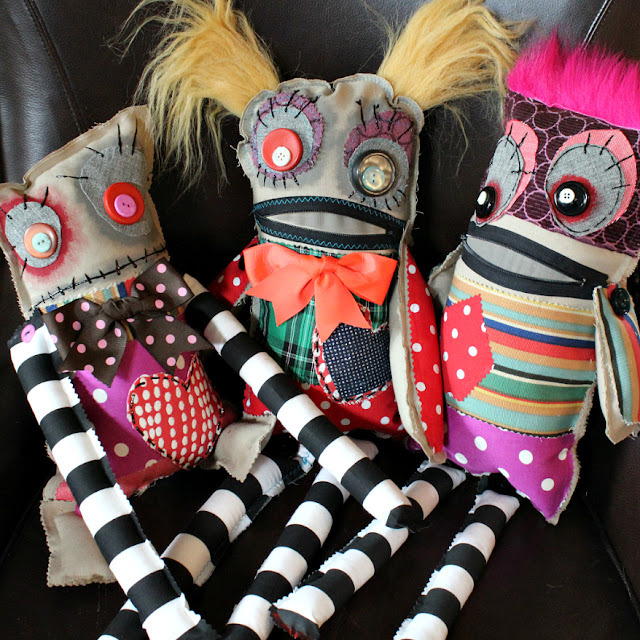 Can't wait too make them for Halloween �� to sit on my couch! Love these, Mark! So fun... just make me smile! About what is the size of the body that you cut? These average about 7" x 9" for the body. Hope that helps.